Come visit us in Atlanta, beginning soon, at AmericasMart Atlanta! 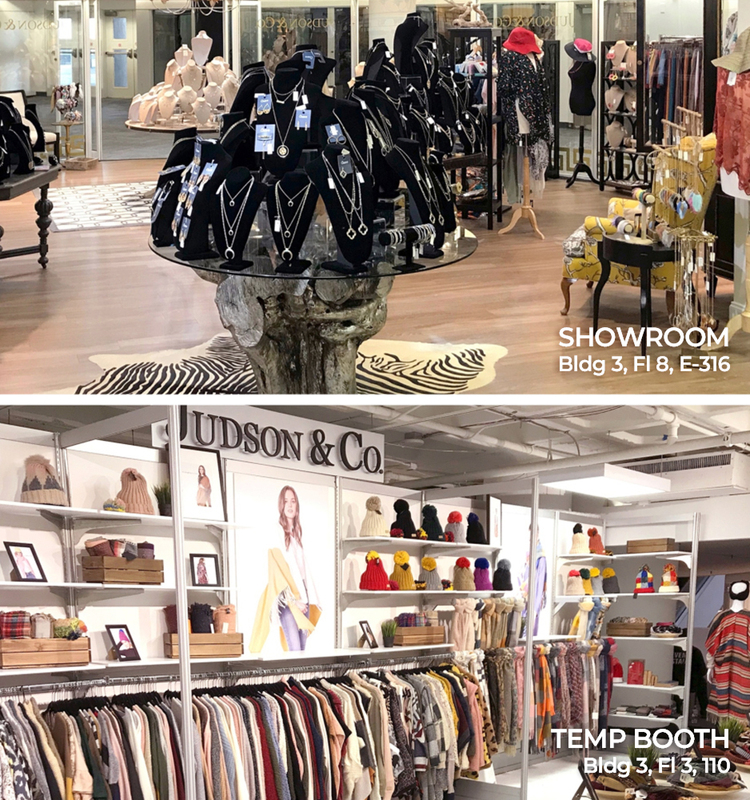 We'll be exhibiting the best of the best from Judson & Company in our award-winning showroom, including the newest addition to our line - women's clothing. We've handpicked the latest styles in women's tops, pants, leggings, and much more. We're excited to bring apparel to Atlanta! We'll have the best in accessories such as scarves, handbags and wallets. And of course, we'll be bringing our large collection of fashion jewelry in the latest trends for your boutique, including snap jewelry, rings, bracelets, necklaces, and earrings. Shop exclusive styles only available at the show. We're always eager to consult with our customers, so come see the dazzling selection for this upcoming season and take advantage of our unbeatable prices and knowledgeable staff.